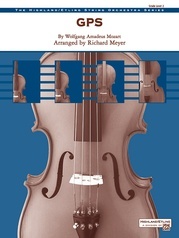 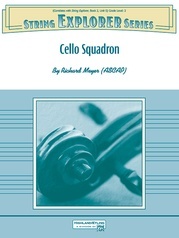 Feature your magnificent violas in this Western-flavored section feature that will give your "unsung heroes" a chance to show off a variety of playing styles. The piece is divided into three distinct parts---a heroic opening theme, a rousing and flashy "fiddle" melody, and a beautifully flowing legato section. Easy to put together and fun for every section, this is a wonderful way to introduce your audience (and the rest of your string orchestra) to the wide variety of timbres this too-often neglected instrument can achieve. Great for recruiting concerts! This title is available in SmartMusic.